Posted on October 18, 2018 by Eco-Insulated Panel Manufacturing Inc. Homeowners look for ways to improve their home’s resale value. Believe it or not, one way to increase your home’s value is by adding metal roofing. 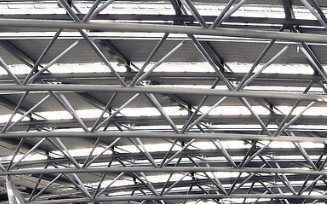 What are some of the long-lasting benefits of a metal roof? And what types can add extra value to your home? When compared with asphalt-shingled homes, metal roofing can increase the resale value by around six percent. Additionally, most homeowners recoup around ninety-five percent of their investment. In general, all types will help increase efficiency, saving on cooling and heating costs. Homeowners only have to buy one metal roof in their lifetime. The roof will last up to half a century with little maintenance. 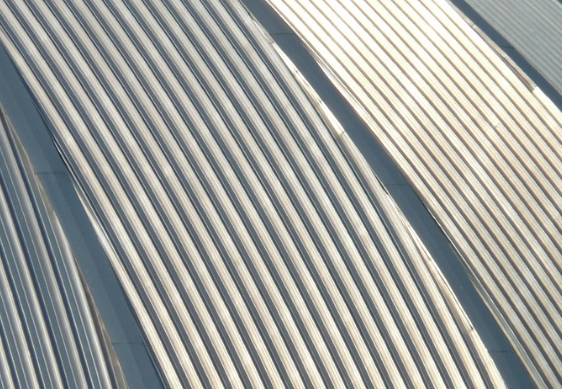 The standing seam version is the most popular type of metal roof. It is a lightweight option. Installation is relatively simple and can be installed on another roof. This greatly decreases the overall cost of installation because the standing seam roof can be placed over an older roof. Insurance companies will sometimes provide extras because of the durability of this type of roof. Worried that the look of the metal roof will affect your resale value because of aesthetic reasons? Opt for shingles. These shingles can imitate the most popular types of traditional shingling. This means that your home will be both attractive and long-lasting. Potential buyers will appreciate the beauty of the shingles with the contemporary technology of metal. Speak with your contractor about what colors, finishes, and shingle types you can add to your home to bring out your personal taste and increase overall resale value. Some homeowners opt for metal only as an accent. This can be seen in high-end construction, where copper is used for gorgeous accents and intricate architecture. Expect a much higher cost for installing the copper roof. Other metals like galvanized steel, aluminum, and stainless steel are also popular and more affordable. Before you choose which type of metal roof best meets your needs, call up a professional and discuss your options. When you are looking for the highest quality wall insulation, what are your options? There are many popular products on the market. 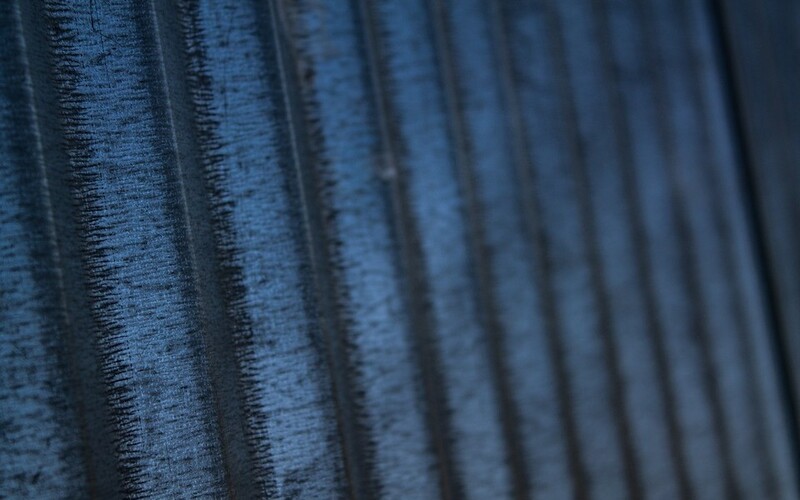 Insulated metal panels are the next big thing, being both eco-friendly and cost-friendly. Learn more about this innovative option. Whether you are building an architectural building, commercial plant, or a residential home, insulated metal panels are ideal for any circumstance. Their versatility lies in their ability to truly maintain temperatures while having lasting durability and strength. From schools to museums, power plants to retail centers, almost any building type benefits from these panels. If your business needs sterile, cold storage, these IMPs are perfect for the job. With the latest technology, they meet safe contamination and hygiene requirements. This makes them ideal for the manufacturing and storage of perishable items like food and chemicals. Speak with a professional about how IMPs can serve your unique needs. Don’t think that these panels are only for commercial and industrial buildings. Because of their simple maintenance and long life, they are the preferred roofing and wall insulation option for savvy homeowners. Add to this relative quick installation, it is no wonder that this product is great for any house. Both eco-friendly and cost-efficient, homeowners can benefit greatly from choosing this durable and attractive option for their home. Many IMPs are constructed of recyclable materials. Whether you are using them for your wall or roofing, they provide additional durability that is long-lasting. In fact, many homeowners and business owners enjoy the very low maintenance and energy-efficiency of metal panels. They save considerably in heating and cooling costs. Save money on repairs, as well. Speak with a professional about how IMPs can help with your unique business and home needs. Posted on September 18, 2018 by Eco-Insulated Panel Manufacturing Inc.
Over time, your roof will deteriorate. This may be due to the elements like harsh winters or natural rusting caused by saltwater if you live by the coast. Roof shingles may need to be replaced. You might have to replace your roof entirely. What are some of the steps to restoring your metal roof? Modern metal roofs are often coated with a protective layer that slows down or prevents deterioration. This includes all types of options, including those with roof shingles and single seam designs. 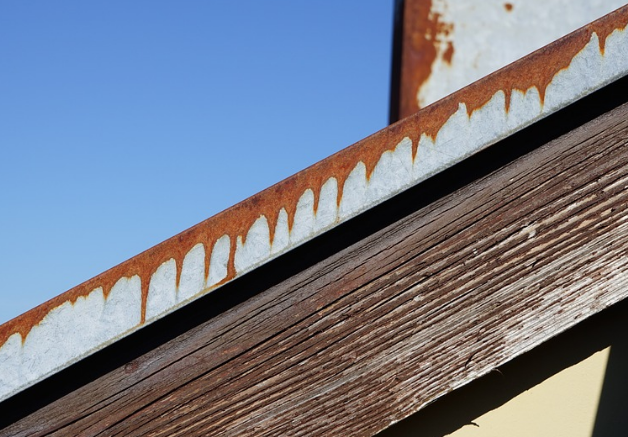 However, older metal roofs often are prone to rust, especially if they were not maintained. Metal roofing is often made out of galvanized metal. 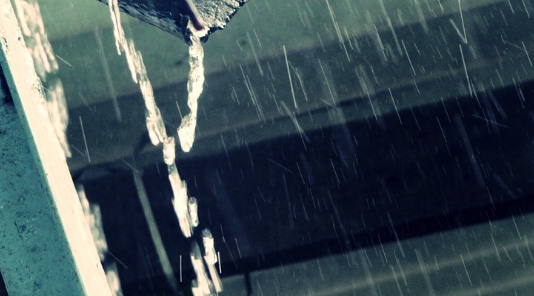 Precipitation, standing water, sunlight and more can cause longterm damage. You want to address any rust before cracks and large holes develop. Wash the metal roof with detergent and water. Scrub off mold and dirt. Replace any rusted screws. Use a wire brush and sandpaper to remove surface rust. Use urethane roof cement and steel roofing mesh to repair any large holes and cracks. Use a putty knife to spread the roof cement over any holes. Afterward, cover it with roofing mesh. Add more cement over the mesh. Repeat the process. Smooth the section. Replace any panels that you cannot repair. Apply a protective coating to the roof, especially areas that you recently repaired. Scrape away excess peeling paint. Finally, apply metal roofing paint. Use products that are best for galvanized steel and that provide rust protection. Prevent future damage by regularly maintaining your roof. This includes repairing any areas with rust or dents and repainting or recoating as needed. Be sure to repair your roof during cooler times of the year. Avoid working on the roof during very hot afternoons. Work with a friend to avoid accidents. Enjoy decades of protection with proper maintenance and repair. You can repair your metal roof easily following these simple steps. Savvy homeowners and business owners know that it is important to understand every aspect of building construction, from basement to rooftop. There are many questions that individuals are not sure to ask their roofing contractors regarding insulated metal panels. Let’s cover some of the most frequently asked questions that everyone needs to know. An IMP is an insulated metal panel. These are lightweight composite exterior panels for both the wall and the roof. They are created with an insulating foam core and metal skins and are installed by skilled roofing contractors. Homeowners find that they are very eco-friendly options and save significant money in regards to energy and installation. Do IMPs provide Good Insulation? Insulated Metal Panels provide excellent insulation for both commercial and residential buildings. This helps homeowners save money on heating and cooling, especially in climates with extreme temperatures. Additionally, facilities that handle food, chemicals, and products susceptible to mold and bacteria benefit from the natural humidity control and limit to airborne particles. 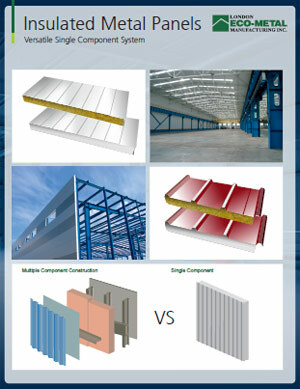 What types of Buildings use Insulated Metal Panels? IMPs can be used for a great variety of buildings. Commercial buildings like offices, banks, warehouses, and educational facilities benefit from having metal panels. The lightweight construction, durability, and timely installation are all reasons that help business owners choose IMPs. Homeowners also benefit from the eco-friendly option. Can You Use IMPs for Cold Storage? Yes! IMPs are an excellent option for cold storage facilities. They provide a sterile environment and meet safe hygiene and contamination requirements due to unique design. Thicker insulated metal panels can provide custom thermal performance requirements. Can I Use IMPs for My Roof? 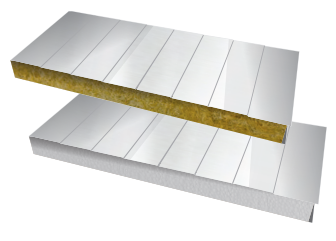 Insulated metal panels provide a top-notch insulation solution. They have a long lifetime and quick installation with a relatively low cost. Maintenance is easy. Expect your metal roof to last half a century or more with proper maintenance. Before choosing the right metal roof shingles for your home, decide what type of metal material suits your needs and budget. Aluminum is a popular option. It is lightweight and corrosion resistant. Other options include steel and copper. Copper is quite attractive and is used for architectural accents. Homeowners that want the look of hand-split cedar shakes may opt for metal shakes. These are a durable roofing option. They provide lifelong protection for your home. Custom metal shakes can be purchased for the discerning homeowner. These are fastened using a concealed clip system. An open valley system reduces debris that accumulates over time. Looking for an attractive style that provides long-term durability? Many homeowners opt for metal shingles that have the look of slate. Because these are made of metal, they lost longer and have a lower overall cost. 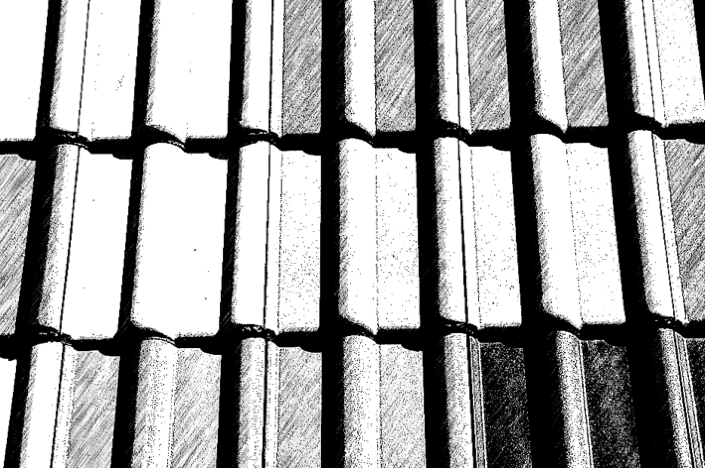 Flat tile metal shingles provide a very smooth overall look. Stiffening ribs give the illusion of separate tiles. Like other shingle options, the flat tile roof will provide long-lasting durability over the lifetime of the home. Many homeowners want the look of the traditional asphalt roof but want the durability of metal roofing. Stone-coated metal shingles have the appearance of asphalt but are not susceptible to wind and the elements like traditional asphalt shingles. While stone-coated metal roofing costs more initially, there is less need for repair and maintenance. In fact, metal roofing often lasts the lifetime of the home. Choose the right metal roofing shingle option for your home. From metal shakes to stone-coated metal roofing, from the popular design that matches your unique style. Posted on July 15, 2018 by Eco-Insulated Panel Manufacturing Inc. Enjoy incredible cost-saving benefits when installing insulated metal wall panels. Why? Over the course of a building’s lifetime, these wall panels will provide high-quality insulation, a guaranteed thermally controlled environment, and easy maintenance. Whether you are a business owner retrofitting an older industrial building with insulated metal panels, a CEO looking for an environmentally option, or a budget-minded homeowner looking for insulated metal wall panels for sale, you will find that the benefits of metal wall panels are a cost-efficient option. Whether you find your insulated metal wall panels for sale or purchase top-end products, you will enjoy decades of durability. Insulated metal panels typically last the lifetime of a building. Meaning that you do not have to worry about the added cost and hassle of replacing crumbling walls. The panels are pre-coated to provide further protection against the elements and aging. The units are rigorously tested before installation, ensuring that they not only meet local building codes but exceed them. Never worry about contamination or extreme weather conditions again. The IMPs (Insulated Metal Wall Panels) are an airtight option. The special single component system provides a sterile and airtight solution for your commercial or industrial needs. Cold storage facilities, food processing plants, and medical facilities are protected against extreme weather and contaminants with the unique design. Additionally, the walls are easily cleaned, ensuring safety and sterility. This type of protection saves significant costs and losses over the lifetime of the building. 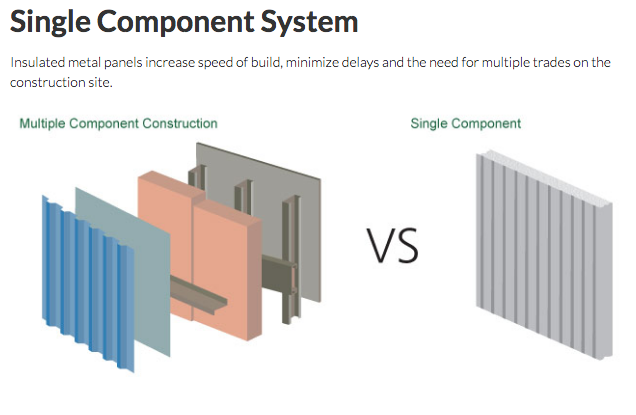 Besides durability, the single component system for insulated metal panels saves significant time in labor and installation costs. Construction is easy. 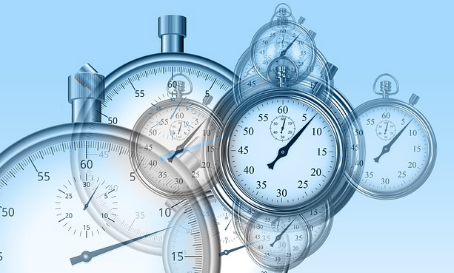 There are fewer opportunities for costly human error issues or scheduling delays when compared to multicomponent options. Experienced professional contractors will provide quick on-site installation. Factory-assembled designs meet the highest safety standards. The airtight durable design leads to decades of energy savings. This superior insulation option provides the best airtightness performance. Meet the highest of industry standards. Discuss your specific design and building needs with a professional. There are many options available, from custom finishes and colors to special accessories that can be integrated into the design. Add trims and custom modules. You will be guaranteed to find the perfect cost-efficient option for you. Insulated metal panels are a versatile option for any environment. From cold storage and food processing to exterior buildings and residences, these panels can provide years of durable efficiency. One of the key reasons for this is the efficiency of the single component system. What are some of the key factors involved in installing insulated metal panels? When installing insulated metal panels, one of the primary benefits of the single component wall is that installation time is reduced considerably. Consider saving over half of the required time when comparing this factory-assembled single component system to multi-part systems. Building with insulated metal panels is an ideal option for retrofitting commercial and industrial buildings. Installation is easy, meaning that cost and hassle associated with changing of schedule or error are greatly reduced. The panels are tested before installation. The guaranteed fast on-site installation brings peace of mind. The IMP (insulated metal panel) has a specialized insulated core material that is foamed between the metal. A special pre-coat is added. This ensures a system that will endure all types of weather conditions and maintain a consistent thermally controlled environment for years to come. Additionally, the walls are airtight, meaning that food storage facilities and other commercial or industrial buildings that require sterility do not have to worry about contamination from outdoor pollutants, bacteria, and weather-related particulates. The airtight design and easily maintained walls reduce dangers of bacteria and mold. Environmentally friendly building owners are rest assured knowing that they have chosen a superior option. Enjoy a green cost-efficient, energy-efficient option. Besides providing an airtight durable environment, the single component system has many design options. There are many options in terms of finishes and colors. Enjoy multiple application possibilities. Easily wash panel surfaces to ensure sterility and safety. Additionally, the panels typically last the lifetime of the building. The one-time installation will give you decades of safety, good insulation, and durability against time and the elements. Experienced contractors will help you find the perfect option for your building. Contact a professional and discuss how you can find the perfect panel design for you.